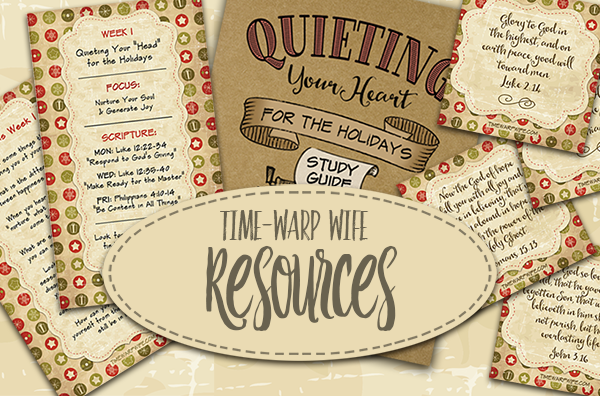 Don’t miss out on these FREE RESOURCES for our Christmas study! Today and every Tuesday, I want to invite bloggers to link-up any blog posts that will encourage women to joyfully live out their roles as wives and keepers of their homes I’m looking for posts on marriage, parenting, housekeeping, recipes, etc. All you have to do is enter the direct link from your post into the linky tool below! 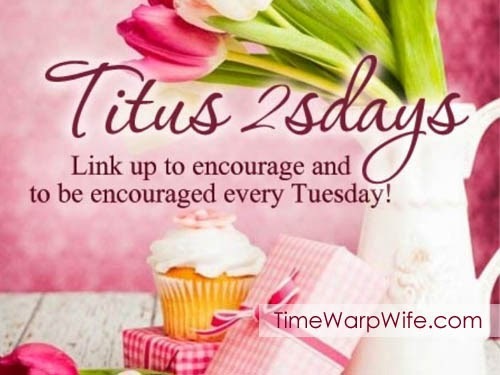 I’d also like to ask you to link back here with the Titus 2sday button (below) so that other bloggers can join in too! Please note that the opinions expressed by the participants are those of each individual blogger and may not necessarily reflect Time-Warp Wife. Wisdom and discretion is advised. Thank you! Note: If you don’t know how to join in, but would like to share your blog post here too, I have created a step-by-step tutorial to guide you along. Click here for instructions. « Quieting Your Heart for the Holidays – Today’s the Day… Our Study Begins! Darlene, thank you so much for hosting each week. I hope you have a blessed Thanksgiving!